Portland’s Jen Netherwood offers hope and confidence to female inmates. Giving back to the community is an important mission for Jen Netherwood, a journey-level SIB carpenter with Portland Oregon’s Local 1503 of the Pacific Northwest Regional Council. Jen is the driving force behind a pre-apprenticeship program at a women’s correctional facility. Her instruction, guidance and coaching helps women develop carpentry skills so that a career and good quality of life is available to them once their prison sentences are served. Her work is not just to teach carpentry; she also stepped up and kept the program running when it hit challenging times. 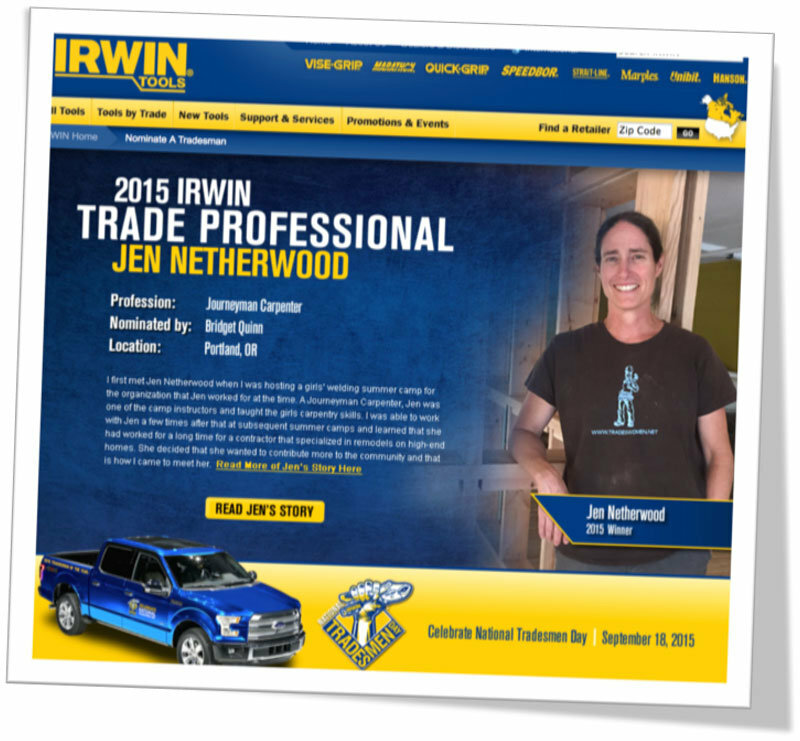 For her outstanding service, she recently won the IRWIN TOOLS’ “Trade Professional of 2015” award. IRWIN TOOLS manufactures and distributes professional grade hand tools and power tool accessories worldwide. By earning the “Trade Professional of 2015” award, Jen was awarded a new truck, and trip to North Carolina. Read Jen’s full story here. Congratulations, Jen!